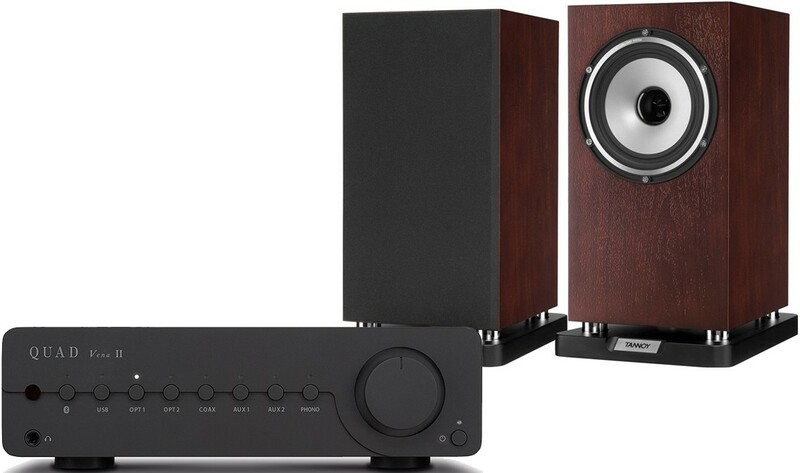 Great performance package combining the qualities of Tannoy and Quad by pairing the Revolution XT6 bookshelf speakers with the Vena II Bluetooth integrated amplifier. Earn 1039 loyalty points when you order this item. This speaker and amplifier package combines the Quad Vena II integrated amplifier and Tannoy Revolution XT6 bringing together Quad's legendary 'closest approach' concept and Tannoy's experience as an industry-leading loudspeaker manufacturer. Quad Vena II, building on the strengths of its predecessor, is an exceptionally neat and convenient way to bring true high-fidelity sound to the varied nature of modern music collections – from vinyl and CD to digital streaming and hi-res files via all manner of playback devices. Supplied in standard Lancaster Grey, other colour options available on request at a premium. Tannoy Revolution XT 6 is a mid-size stand or bookshelf mounted loudspeaker that represents a ‘purist’ Tannoy configuration. XT 6 features a single 6” multi-fibre omni-magnet dual concentric driver cone with a 25mm Linear PEI dome benefitting from Torus Ogive waveguide. For more information on the speakers, please visit our main Tannoy XT 6 page. 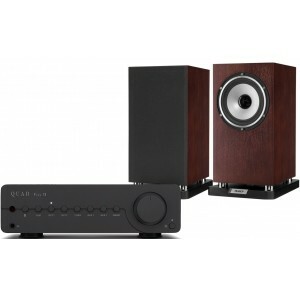 For more information on the integrated amp, please visit our main Quad Vena II page.